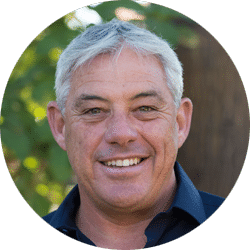 Steve Wood is an Australian horticultural talkback radio and gardening TV presenter with a Diploma in Horticulture and more than 40 years’ experience working in the horticultural industry and in wholesale nursery production. Steve has owned and managed his family wholesale production nursery for over 35 years, specialising in sourcing and introducing new plant varieties to the Australian Nursery Industry. As a gardening talkback radio presenter, Steve has worked with ABC radio WA for 25 years and is a regular presenter on Channel Nine’s The Garden Gurus television program. Steve’s passion for growing organic fruit and vegetables comes across in the award-winning gardening, food and sustainability podcast, All The Dirt, that he presents with Deryn Thorpe. He also raises heritage breeds of chickens, ducks and goats, and has a special interest in showing people how easy it is to grow food at home. 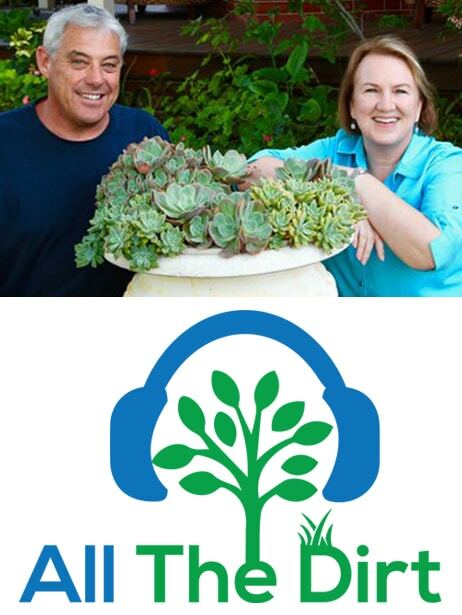 Deryn Thorpe and Steve Wood combine decades of gardening, sustainability and environmental knowledge to create Australia’s most popular gardening podcast. The show has a gentle conversational style and aims to give people the confidence to grow their own food, create a beautiful and healthy environment and cook simple meals. Most weeks Deryn and Steve are joined by a specialist guest who chats with them about their life, food, gardening and environmental passions. You can listen to the podcast online at www.allthedirt.com.au or download the podcast from iTunes.